After a particular mag pouch that you cant seem to find? In this section there is just a small amount of the different mag pouches we have in stock, we do have many others and if you cant find exactly what your after, just drop us a phone call or an email and out team will get back to you asap. 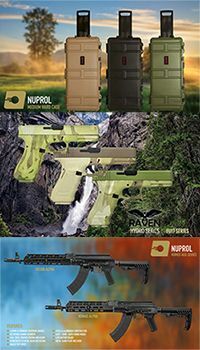 With brands such as fields, FMA and viper in this section they will comfortably hold mags such as an M4, p90, ak47, scar, mp7, mp5, and many more. If your still unsure, were only phone call away and with out team here at Bullseye we will keep you right.